Looking for events where you can bring your mom or wife to on Mother's Day? We've compiled this list of Mother"s Day programs and activities just for you. What’s happening: Experts talk on parenting, home décor, and conducting mommy makeovers. Mommies get to bring home freebies and prizes. Event intended for non-pregnant moms and moms who have kids 3 years old and above. Admission is free. Up to May 10: Chocolates, pralines, macaroons from grab-and-go outlet JAVA+Time: 6-10 p.m.
What’s happening: The Market Café’s Chef Jesse cooks up moms’ favorite dishes. 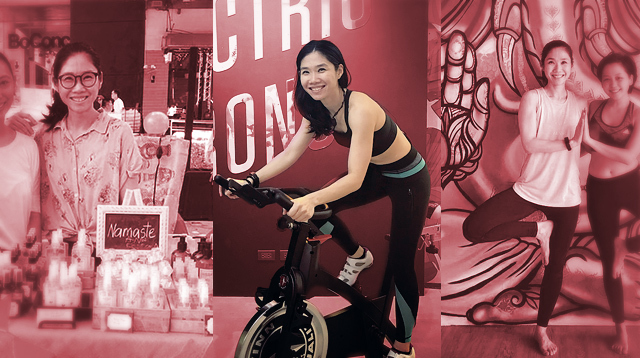 Date: May 9What’s happening: Ladies get a Nail Bar manicure or pedicure, a Homedics foot spa, a Clarins back-neck massage, and a Murad or Dermalogica express facial courtesy of Rustan’s. For inquiries, call The Peninsula Manila at (02)887-2888. Date: May 9Time: 10 a.m.-6 p.m.
Activities: Hair styling, hand spa, spot massage, facial massage, foot reflex, makeovers by L’Oreal and Maybelline, talks on fashion styling, home décor and styling, cooking demos, livelihood workshops for mompreneurs and songs by the Kammerchor Manila Chorale. Address: Ortigas Center, Pasig CityDate: May 9Time: 4 p.m.
Activities: Inflatable rides, balloon shows, bubbles shows, magic shows and mascots for kids. For the moms and future moms, there will be exercise routine demos, a Mommy Make Over session by Azta Urban Salon, a fashion shows, a mobile spa, live performance by Top Suzara, parenting workshops, photography workshops, skin care talks and more. Admission is free.